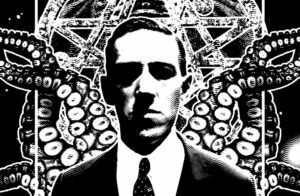 Howard Phillips Lovecraft was an American writer who achieved posthumous fame through his influential works of horror fiction. He was virtually unknown and published only in pulp magazines before he died in poverty, but is now regarded as one of the most significant 20th century authors in his genre. Take a look below for 30 more bizarre and interesting facts about H.P. Lovecraft. 1. Lovecraft was born in Providence, Rhode Island, where he spent most of his life. 2. Among his most celebrated tales are “The Rats in the Walls”, “The Call of Cthulhu”, “At the Mountains of Madness, The Shadow Over Innsmouth, and The Shadow out of Time, all canonical to the Cthulhu Mythos. 3. Lovecraft was never able to support himself from earnings as an author and editor. 4. He saw commercial success increasingly elude him in the latter period of his life, partly because he lacked the confidence and drive to promote himself. 5. 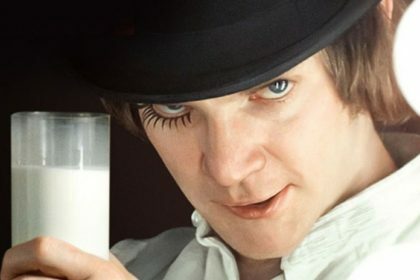 He subsisted in progressively strained circumstances in his last years; an inheritance was completely spent spent by the time he died, at age 46. 6. When Lovecraft was three years old, his father went insane and died 5 years later, most likely from untreated syphilis. 7. Lovecraft’s first attempt at writing “weird fiction” he would later become famous for, is a story called “The Noble Eavesdropper.” The story, which some say he wrote at the age of six or seven, doesn’t survive. 8. His first published work was a letter about “astronomical matters” that was printed in The Providence Sunday Journal in 1906. 9. Lovecraft became a prolific letter writer and by some accounts, wrote 87,500 letters during his lifetime. He was also in the habit of dating letters 200 years earlier than the current date. 10. 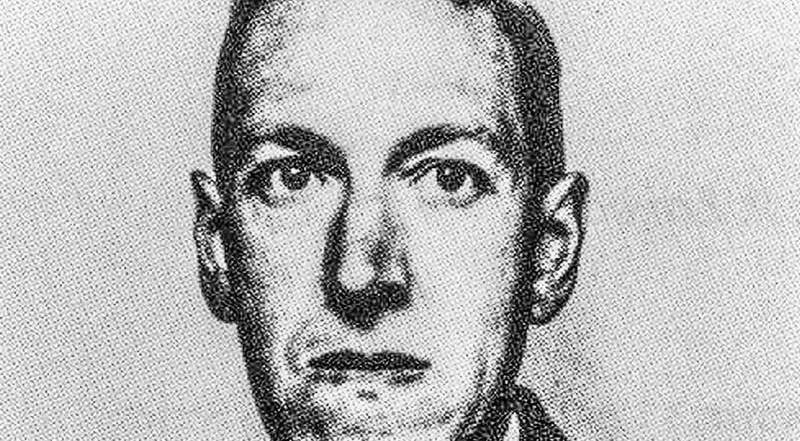 Although now considered one of the greatest early American writers of horror, Lovecraft never received his high school diploma. 11. Lovecraft was friends with many contemporary writers of his time, including Conan creator Robert Howard, Robert Bloch and Fritz Leiber. 13. He ghost wrote a story called “Imprisoned with the Pharaohs” for Harry Houdini, who later commissioned Lovecraft to write a book debunking superstition, which was never finished due to Houdini’s death. 17. 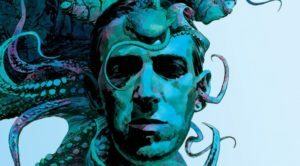 Lovecraft only truly became popular after his death, when friend and fellow writer August Derleth founded Arkham House publishing to help keep Lovecraft’s work alive. 18. All of Lovecraft’s stories written before 1923 are now in the public domain. 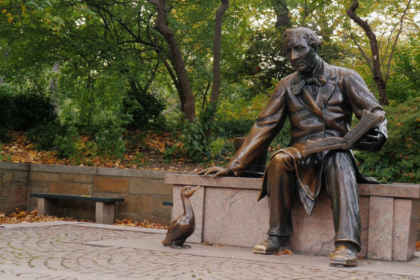 However, it’s not clear who owns or owned the copyright to many of his works, and the status of stories written after 1923 is disputed. 19. The statuette for the World Fantasy Award is a bust of Lovecraft, in honor of his writing. 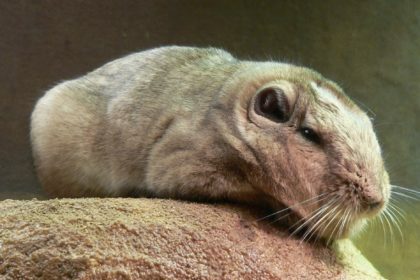 The award is informally referred to as a Howard. 20. While he died in 1937, he didn’t get his own headstone until 1977, when fans pitched in to buy one for him. 21. Lovecraft isn’t buried under his headstone, however, hundreds of people visit it each year to pay homage to him. 22. On October 13, 1997, someone tried to dig up Lovecraft’s body, not knowing that it wasn’t under the headstone. They dug down about 3 feet before giving up for unknown reasons. 24. On March 3, 1924, Lovecraft married Sonia Haft Green, a successful milliner, pulp fiction writer and an amateur publisher. She was seven years older than him and kept an apartment in Brooklyn. After the wedding, they settled down there. 25. At some point, Green lost her shop and became sick. Lovecraft tried to find a job, but no one was willing to hire a 34 year old man without any job experience. 26. 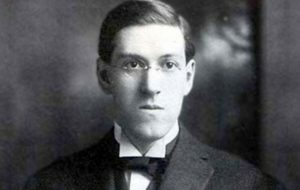 On April 17, 1926, Lovecraft returned alone to Providence and stayed with his aunts. Green also wanted to settle down there and open a shop, however, his aunts wouldn’t allow it. Ultimately, they decided to get a divorce, but it never took place. 27. In early 1937, Lovecraft was diagnosed with cancer of the small intestine, which is what ultimately killed him. 28. In July 2013, the Providence City Council put a marker at the intersection of Angell and Prospect streets, designating it as “H.P. Lovecraft Memorial Square.” The Providence Athenaeum library also houses his bronze bust. 29. 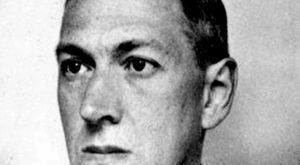 In 1984, writer Donald Wandrei caused some controversy after he was offered a World Fantasy Award for Life Achievement but refused to accept it because the award was a bust of Lovecraft that he felt looked more like a caricature of him than an actual representation. 30. Lovecraft drew extensively from his native New England for settings in his fiction. Numerous real historical locations are mentioned, and several fictional New England locations make frequent appearances.